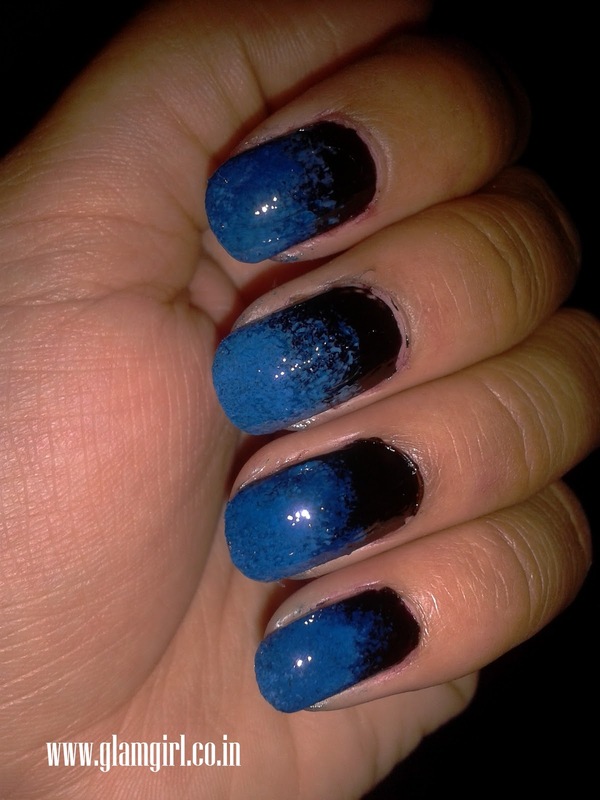 Step 1 Color your nails with black nail color. Take a a drop of royal blue on sponge and color upper half nail with it. 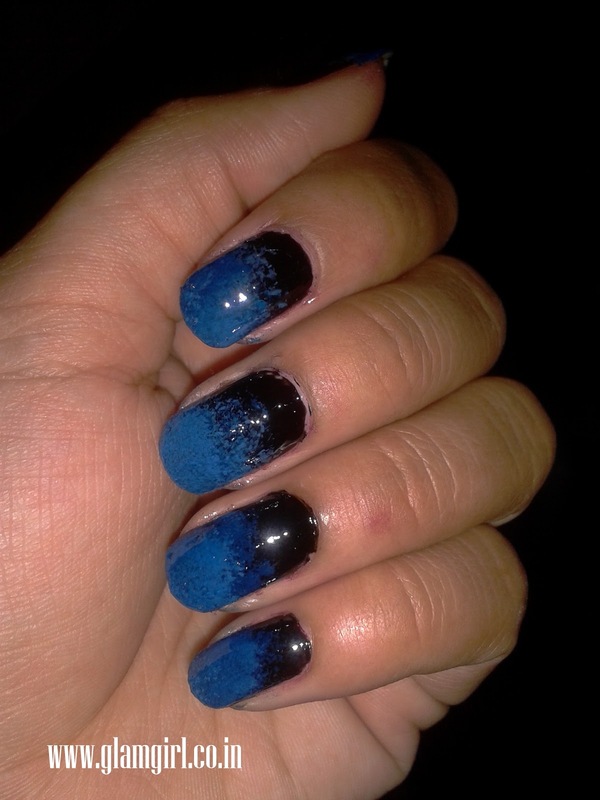 The blue should be more opaque on the top of the nail and sheer in as you go down. 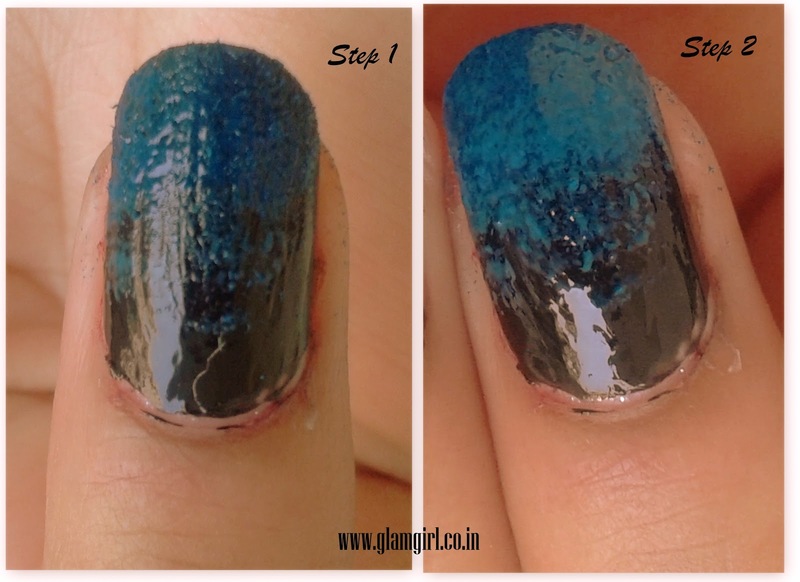 Step 2 Take a drop of bright blue on the sponge and color the upper half nail in the same manner you do in 1st step. 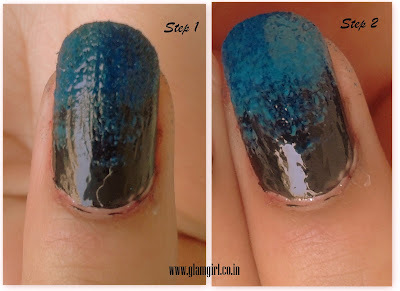 Seal the color with top coat. When the color dries, take a cotton, dip it in the acetone and clean the extra nail color around nails.